We LOVE fabric panels! 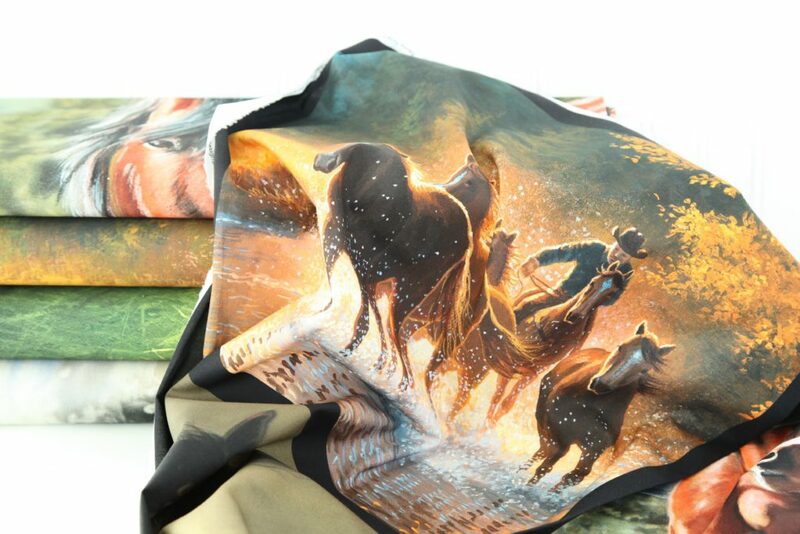 The horse panels in the Back in the Saddle collection are digitally printed, which allows for more color and detail than traditionally printed fabrics can offer. 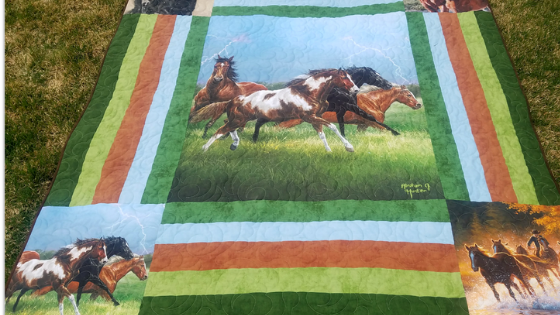 Deonn from QUILTSCAPES is sharing a super easy tutorial featuring a large horse panel, the smaller pillow panels, and Riley Blake Shades fabrics. The finished quilt is stunning! Hop on over to Deonn’s BLOG for the complete step-by-step tutorial, and be sure to follow Deonn on Instagram @quiltscapades. 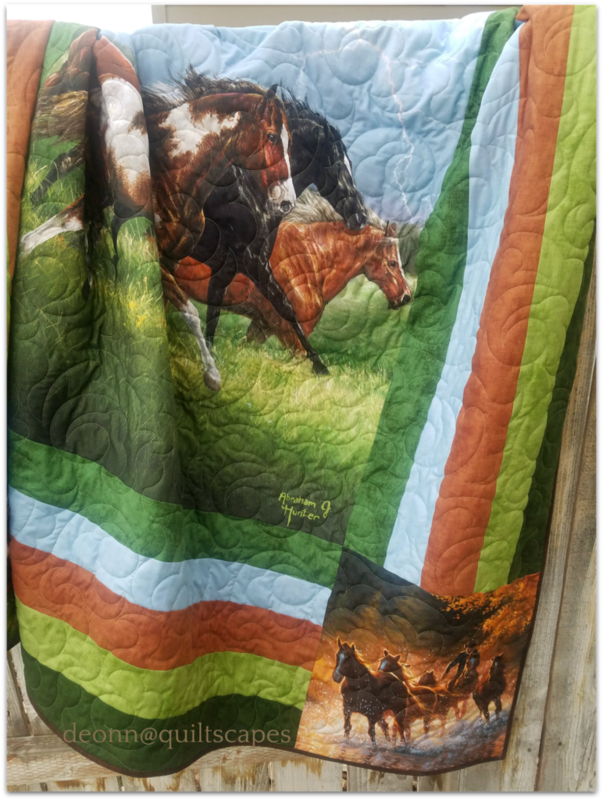 Back in the Saddle fabric panels are available now at your favorite local and online quilt shops. Pick up yours today and share your makes with us on Instagram using #rileyblakedesigns #iloverileyblake #fabricismyfun, and be sure to tag us @rileyblakedesigns.